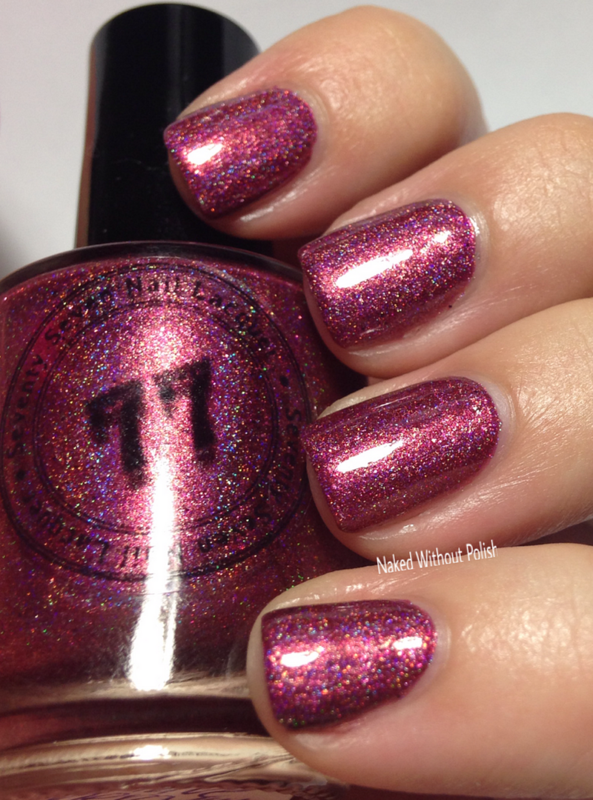 Seventy Seven Nail Lacquer has released some lovely limited edition polishes lately. I'm finally able to show them off. Not going to have a lot of babble here, we are going to jump right in. No need to waste anymore time. 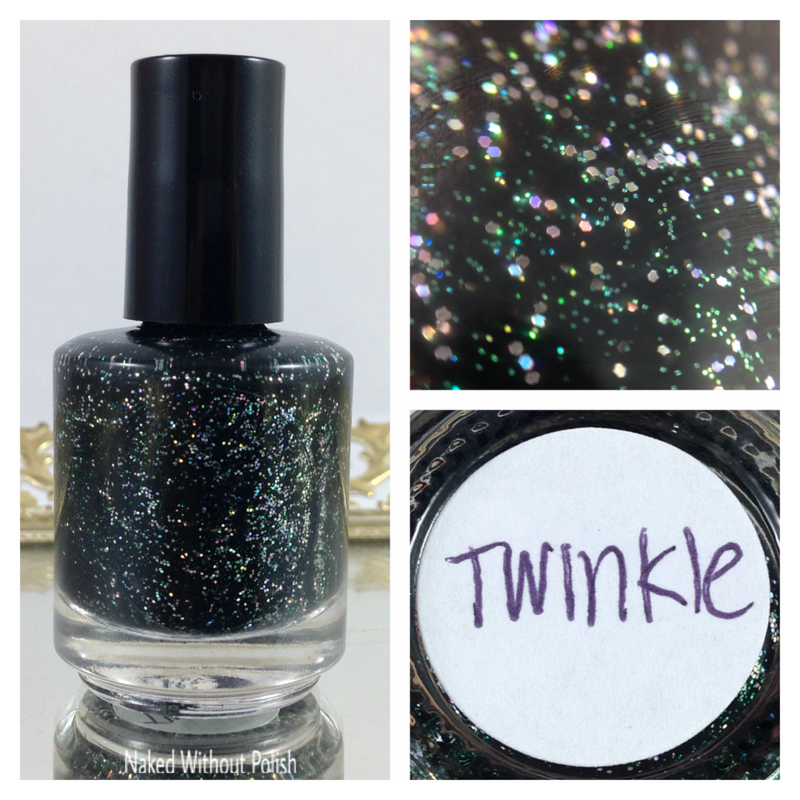 Twinkle is described as "a black cream with assorted silver holo glitters". Shown is two coats of Twinkle with top coat. 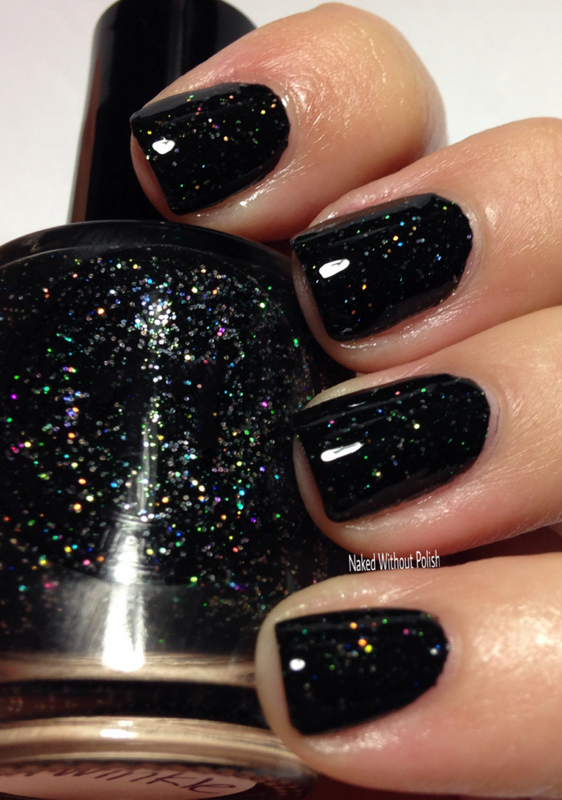 Twinkle is a stunning black polish. Perfect formula. Amazingly smooth application. The glitters disperse beautifully. 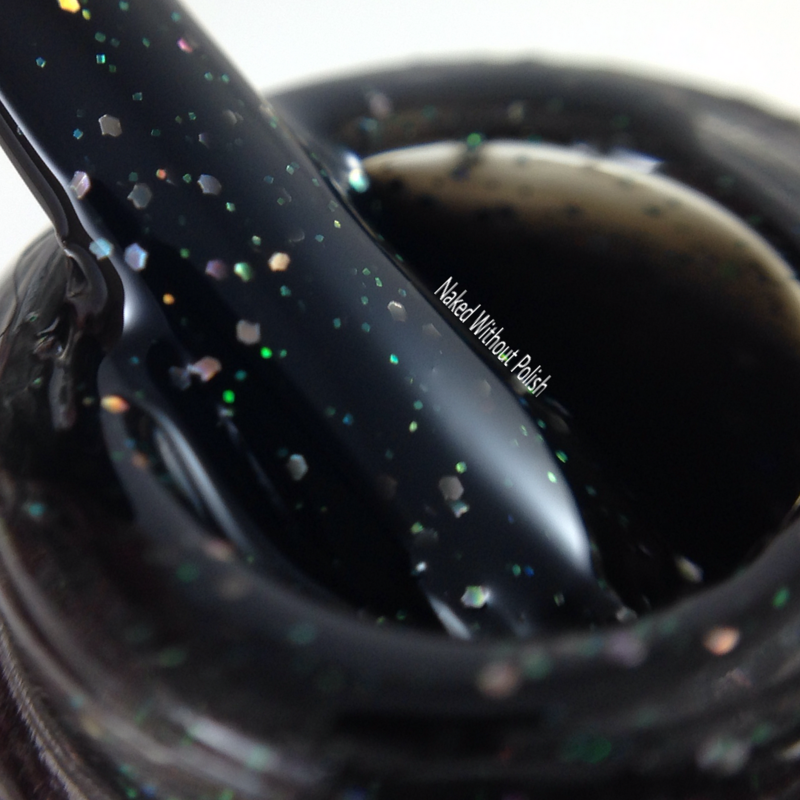 It would make a lovely base for a galaxy manicure. Have Mercy! 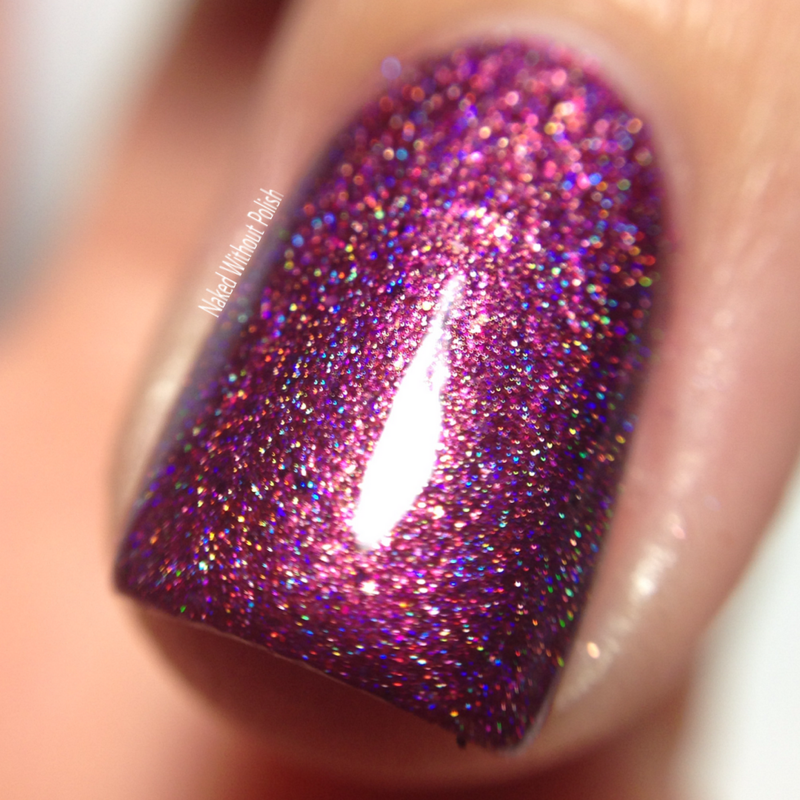 is described as "a juicy raspberry linear holo with flashes of cobalt blue". Shown is two coats of Have Mercy! with top coat. Have Mercy! will make you channel your inner Uncle Jesse. 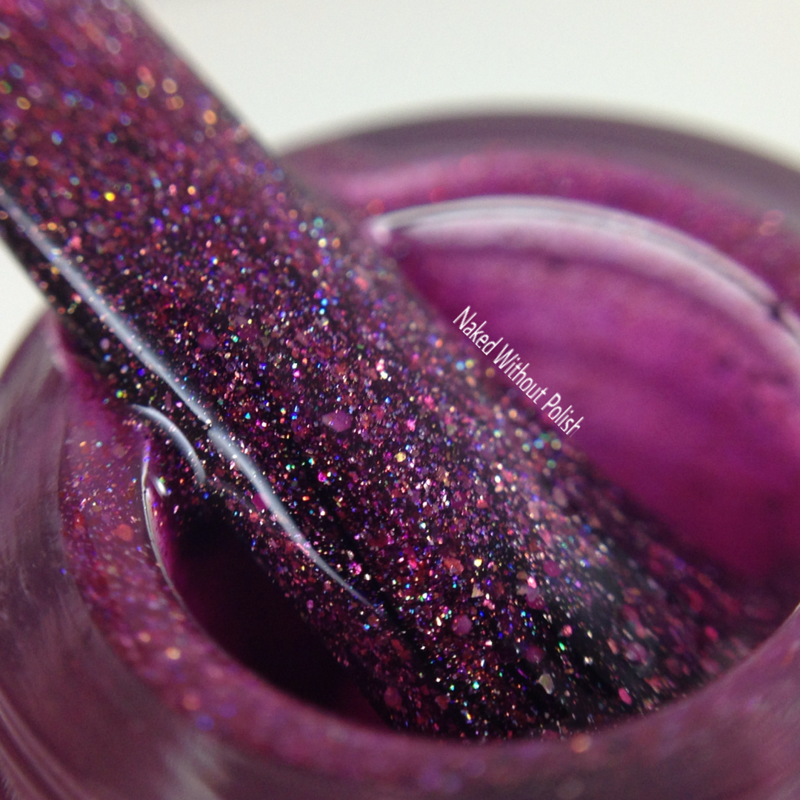 This polish is stunning in the bottle, but get it in the right light and it comes to life. It is perfect in every way imaginable. Holla Holo! 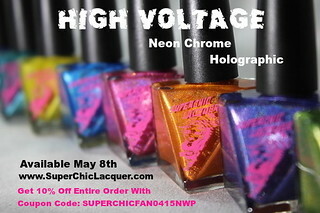 is described as "bright, but vampy, purple with fuchsia undertones, linear holo, with flashes of cobalt blue ". 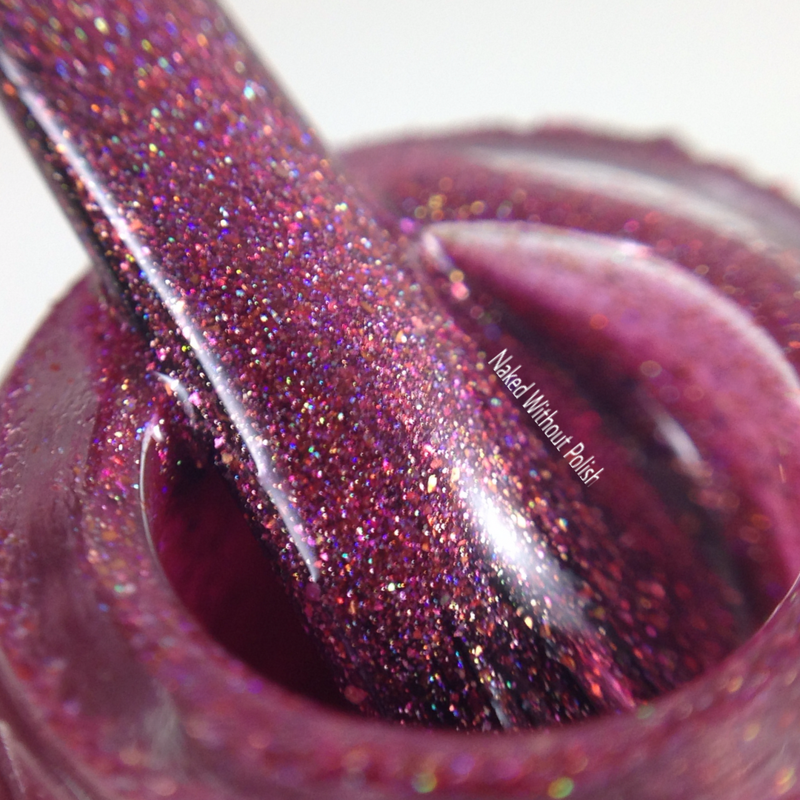 Shown is two coats of Holla Holo! with top coat. Holla Holo! is one you're going to have a hard time passing up. The "POW" factor on this one kinda comes out of no where once you step into the sun. I dare you not to fall in love. All of these are available in the shop now. 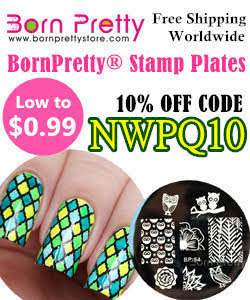 They range from $11 to $12.99 each. While you're there, make sure you check out the rest of her stock. This brand may be new to me, but I know amazing product when I see it. If I had the money, I'd buy one of everything that I didn't already own. 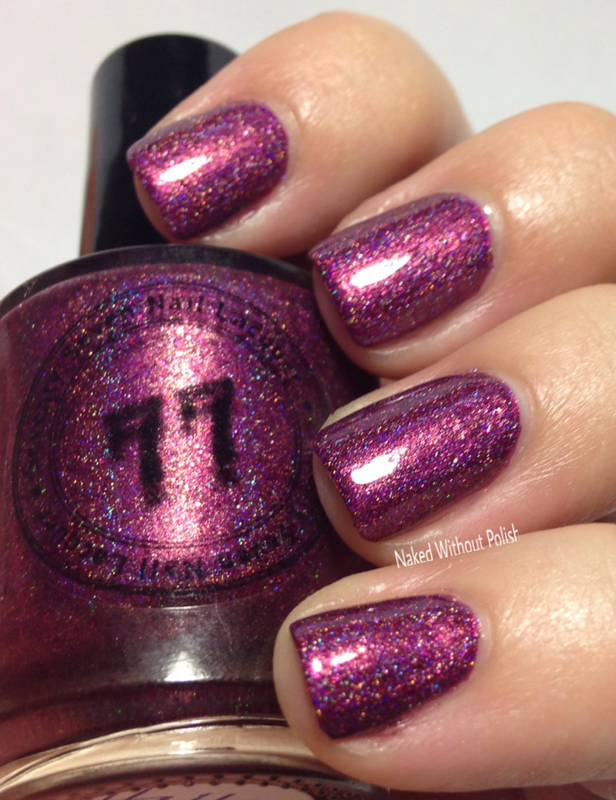 Keep your eye on Seventy Seven Nail Lacquer in 2016. I expect great things from her. 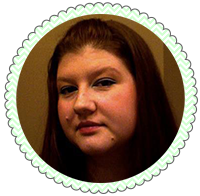 To keep up with news, sales, and new products...make sure you are following her on all of her social media platforms (links below). What do you all think? Any of these wow you?